Meals For . . . Aleita Lemon-Gary scroll down to sign up... Admin Password: GO! Edit Notes • Print Notes Notes from Dawn Zucca . . .
Aleita is the mother of 23-month-old twins, Veronica and Robert. Veronica was diagnosed with leukemia July 13, 2017. The time and financial involvement necessary to meet the needs of Veronica are great. There are days when they go to CHOP more than once a day. This family would benefit from the delivery of meals. Aleita's mom is heavily involved in the care and transport of her grandchildren and accompanies her to nearly every visit. You are preparing a meal for 3 Adults and 2 children. There are NO known food allergies. This family eats their evening meal at 6:30pm. Additional blessings... Veronica is currently struggling with meals and has lost weight. She is drinking a lot of whole milk. 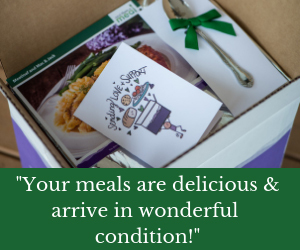 They would be blessed if you added a gallon of whole milk to your meal delivery. The children enjoy Chick-fil-A as well and a gift card would be welcome. Can't take a meal from your own kitchen? Send one instead. Click here to order.